Good office signage not only informs your staff and clientele, but it also can tell your company story with color schemes and design themes that invite and engage. Now SNAP gives you total freedom to create, change and reuse your DIY office signs throughout your entire facility. No more worries about re-ordering costs and deadlines. 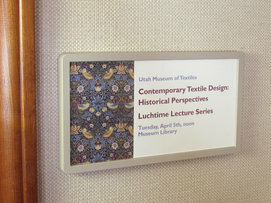 Just print your paper insert panel, insert it into one of our fashionable textured frames and snap it shut. 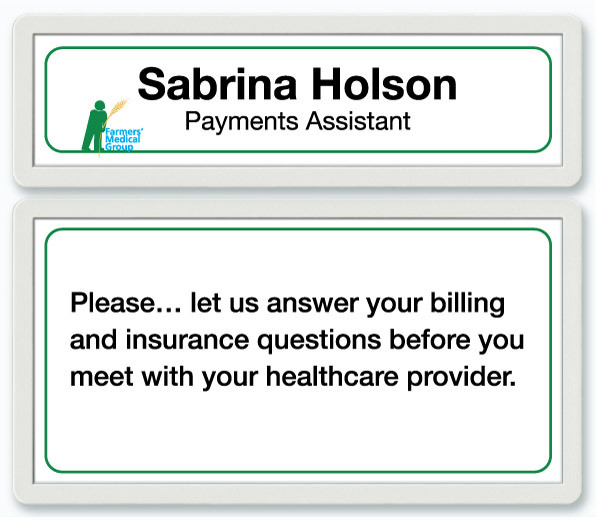 When you need to change a diy door name plate or diy cubicle sign, for example, simply remove the panel, print a new one and produce a replacement sign in an instant! One of the nice things about DIY office signs is that they're perfect for any season, any occasion. If your message changes, simply switch them out. Virtually anyone on your staff can do it. And they fit anywhere, from countertops, to walls and doors, even cubicle partitions. 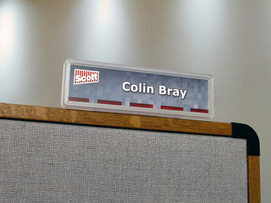 Go ahead...make your own desk name plate or announcement as a recognizable sign of smart communications! You can make your own wall sign for a variety of objectives: to instruct, inform or even introduce staff. And when you add color, graphics and photos, your personnel will be front and center instead of easy-to-miss wallflowers. SNAP signs come in various sizes, too, so that almost any space becomes a fitting spot. 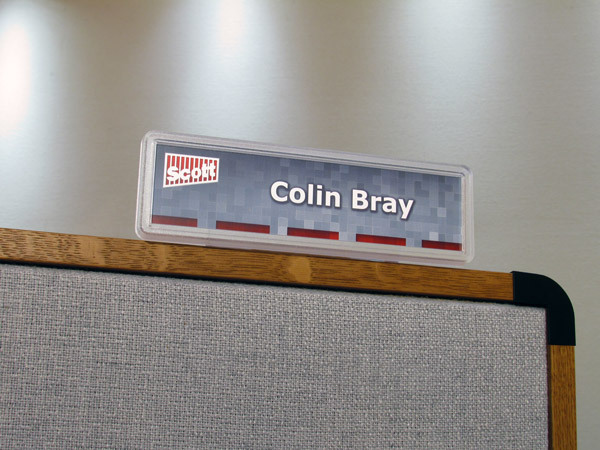 A diy cubicle sign goes a long way in making staff feel at home in their individual spaces, whether the message announces their name, title or department. Depending on your design tastes, we can help you attach these diy office signs with a variety of custom-made options, including our popular stands, which are easily secured on the top of the cubicle partition for maximum visibility. Your diy office signs attract attention when printed on our bright, white, opaque papers, specially created to emphasize saturated logo colors, as well as crisp black lettering. Talk about a contrast that pops! And we have frame sizes that complement any place, fit any space. 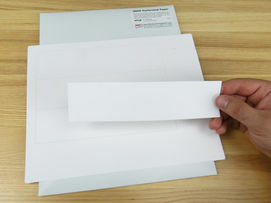 Every size paper is coordinated with our SnapSignDsign® templates. 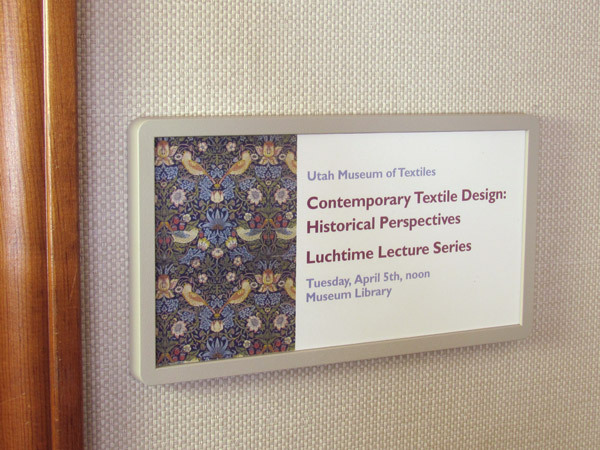 Things can change in busy offices, museums, libraries and other commercial establishments. But you're never behind the times when you're able to make your own door plate, at a moment's notice. 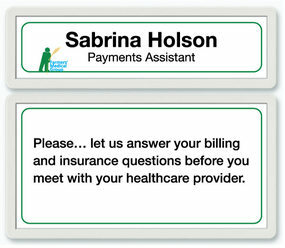 SNAP signs are wonderfully changeable and reusable. Just print a new paper insert, remove the tamper-resistant shield with the suction cup accessory, slide a new message into place, then snap it shut...and your old diy office sign is history. 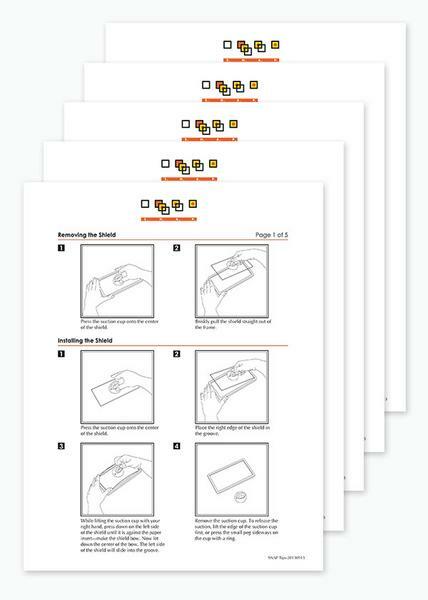 We've thought of just about everything possible to make SNAP signs easy enough for even a novice to assemble. 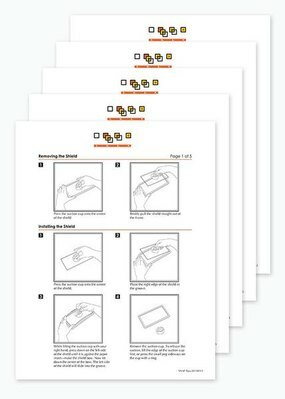 One of those things is our collection of instruction pages and tip sheets that guide you through every simple step and also provide great ideas on how to make your signs more versatile and eye-catching than ever. Okay, you've designed and printed your signs, and displaying them is just as easy! 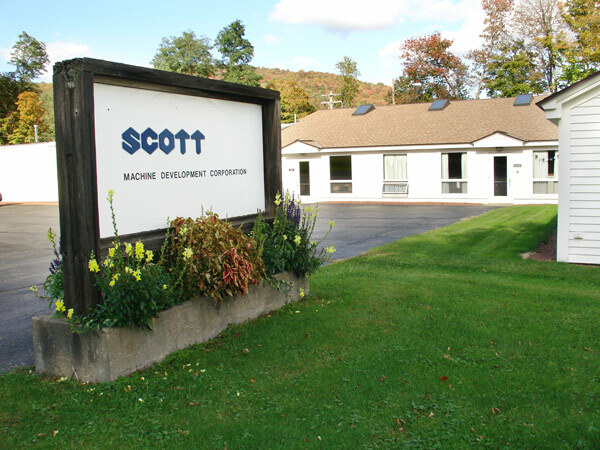 Scott Machine offers a variety of great attachments, no matter if your surface is brick, concrete, smooth paint or even cubicle fabric. 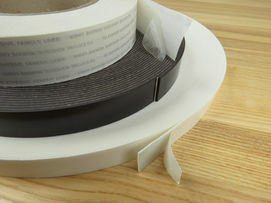 This includes several different types of tape - either permanent or temporary - as well as hook-&-loop fasteners and pins. 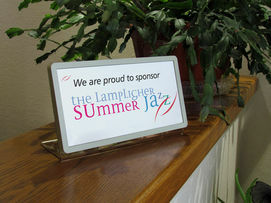 If you're setting your sign on a desk or countertop, our attractive stands are, well, outstanding! Personalize your surroundings for staff and guests alike, with diy door name plates that leave plenty of room for titles or supporting messages. 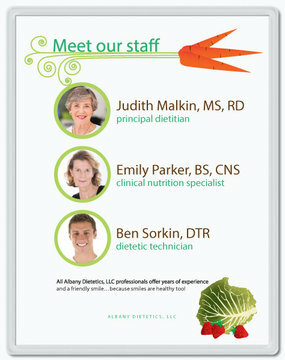 With the SNAP sign system, you can even create companion signs of different sizes, yet with the same coordinated look. Whatever your office, whatever your room, you can set it apart with a distinctive diy door sign. Eleven different frame sizes, in five handsome professional colors...white, gray, putty, brown and black...enable you to sign your entire office so that it's in tune with your personal design tastes. Mix and match signs or give them their own center stage. Either way, they're great door openers. 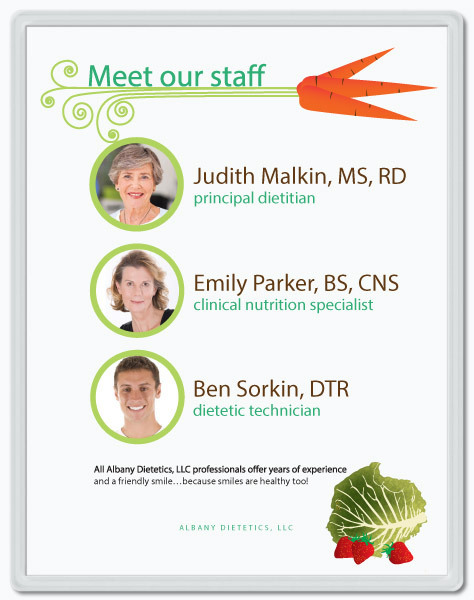 Versatile SNAP signs aren't just for walls, doors and cubicle partitions. You can make your own desk name plate for your desk or countertop, too, with a printable paper insert, our textured frame, stand and adhesive. It's the easiest way to give your name or those of others the attention it truly deserves. For over 50 years, Scott Machine Development Corporation has manufactured quality signs and sign-making materials from our factory in upstate New York. Everything you need - from precision engraving machines and engraving supplies, to name tags, signs and accessories - is the product of conscientious American engineering and craftsmanship. Read more about us on the Contact Us page, and remember...we always answer in person by the 4th ring! Transform - and simplify - your office signage program. 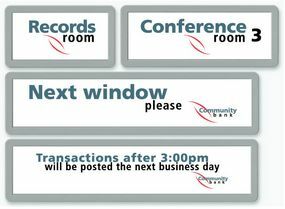 Our innovative SNAP diy office sign system was created to save you time, hassles and money. It's easy to get started and even easier to see the advantages once you do. And when we say do-it-yourself, we never mean do it alone. Whether you're making a diy cubicle sign, designing a diy door sign or anything else, we're always just a phone call away with friendly, personal service.